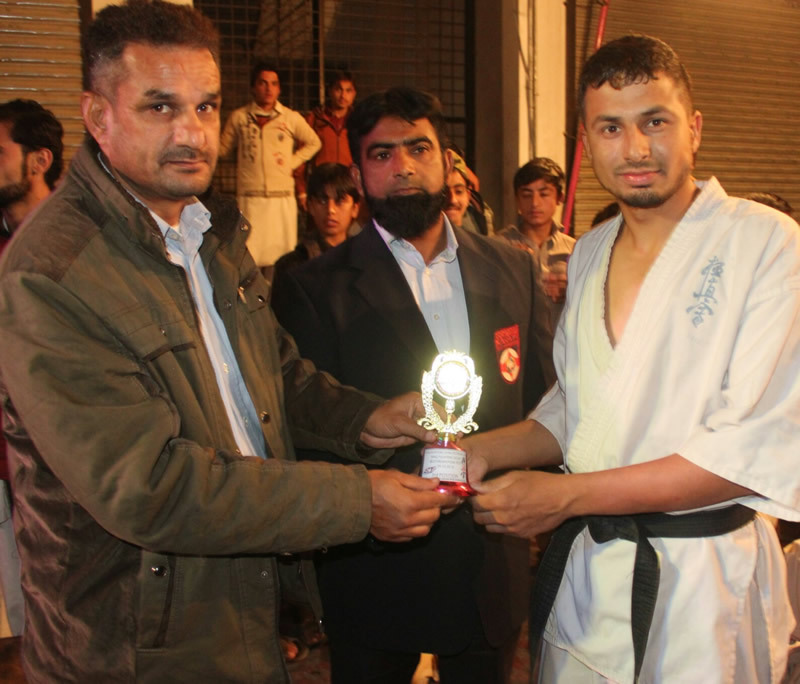 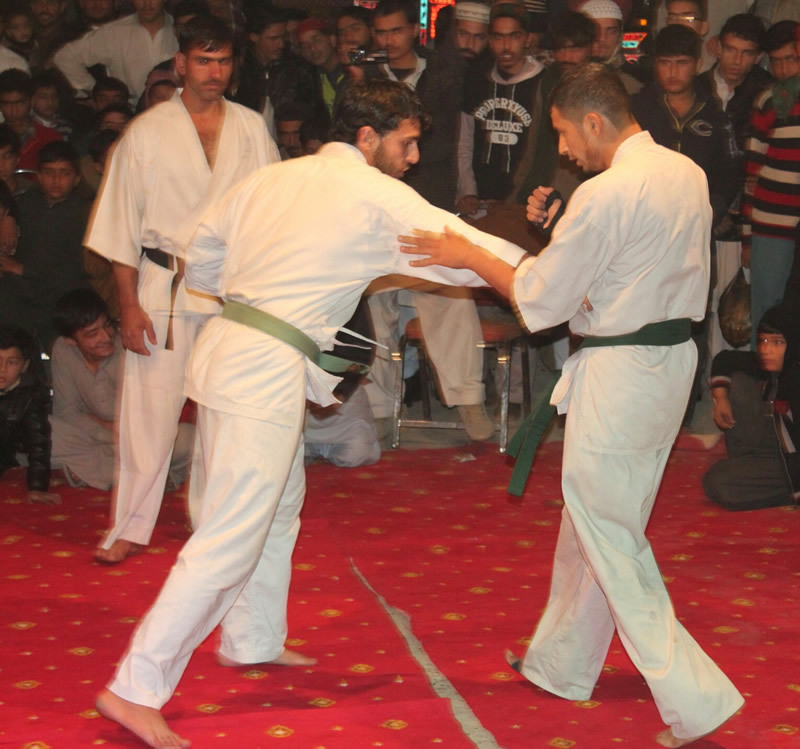 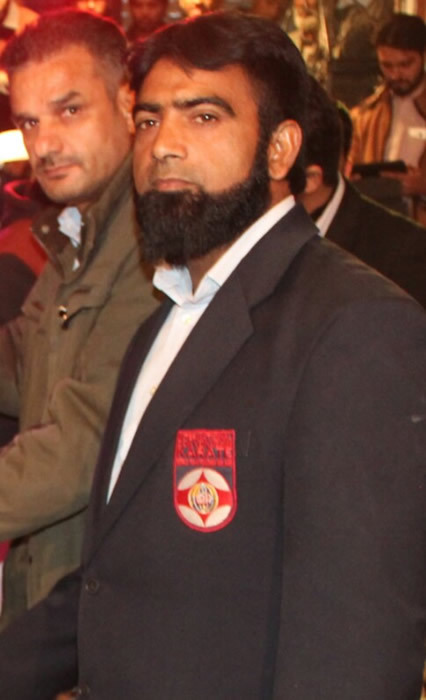 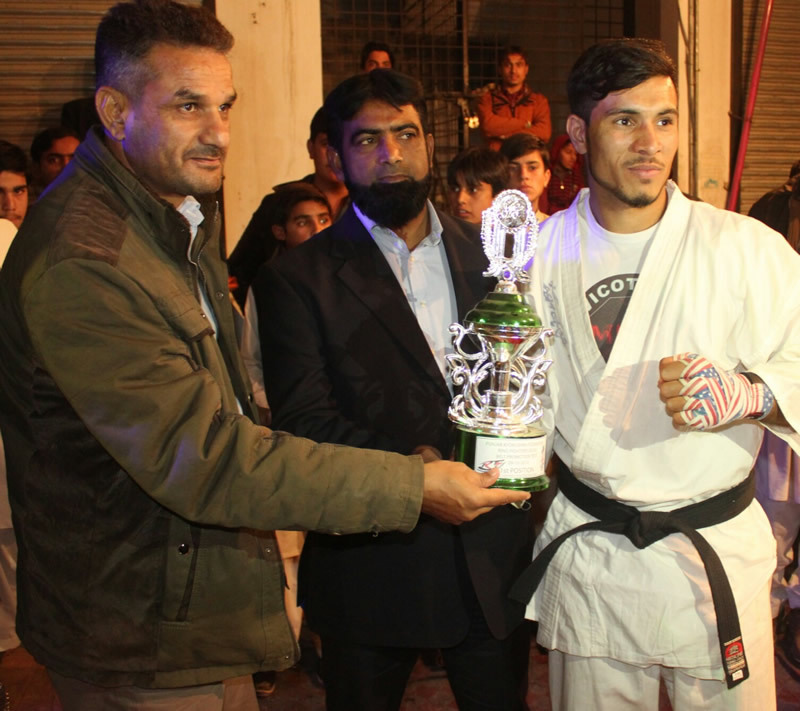 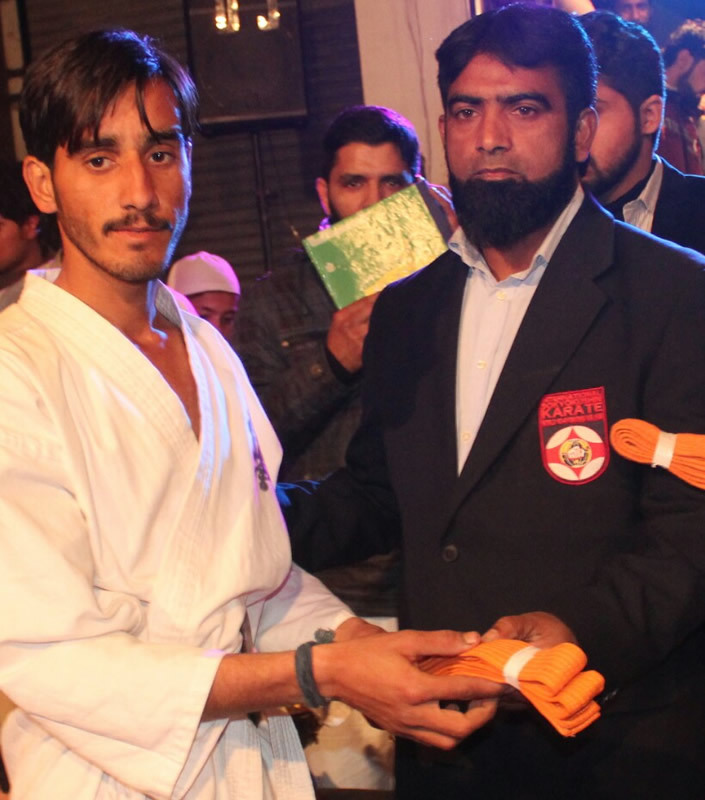 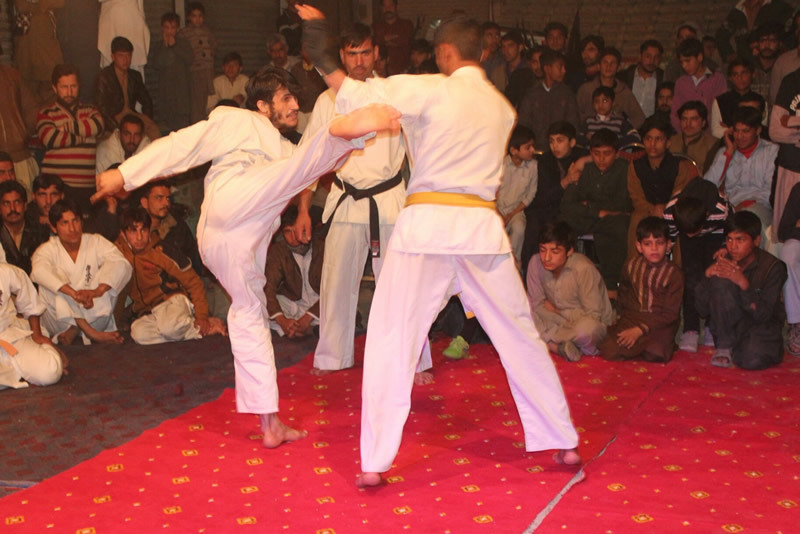 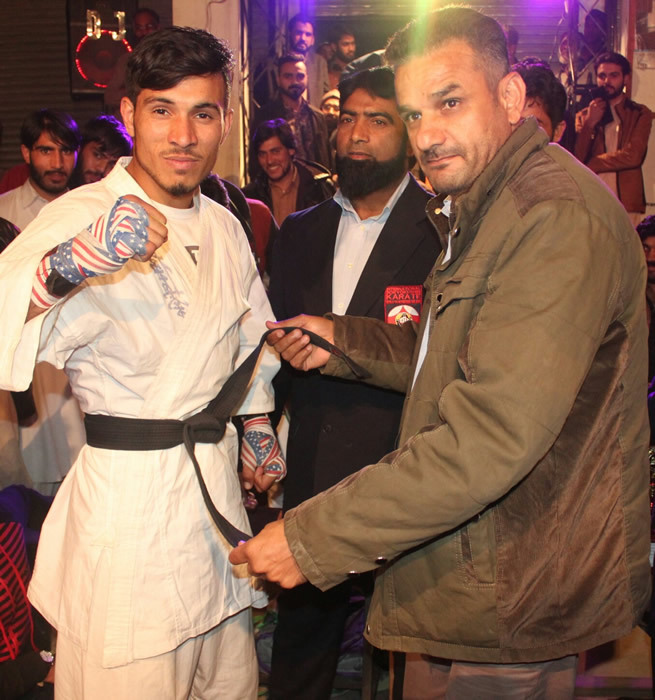 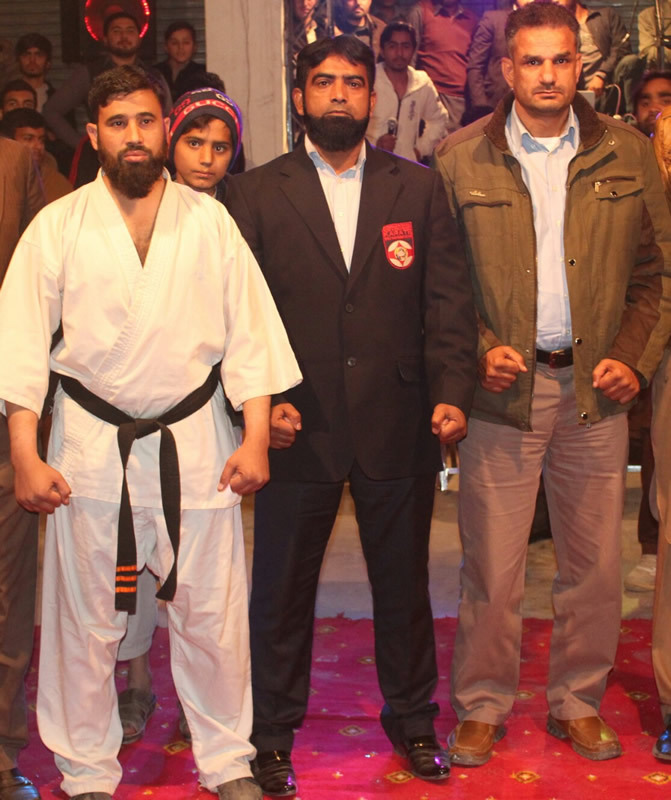 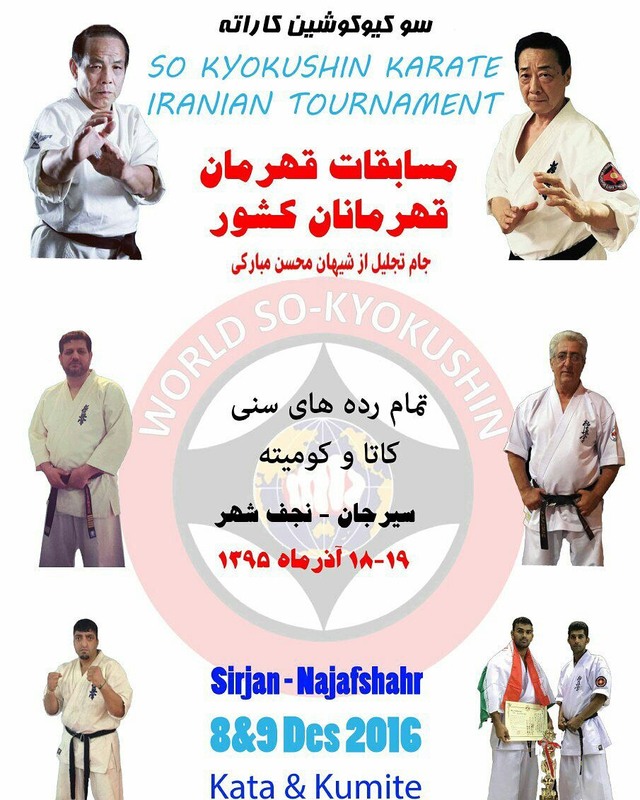 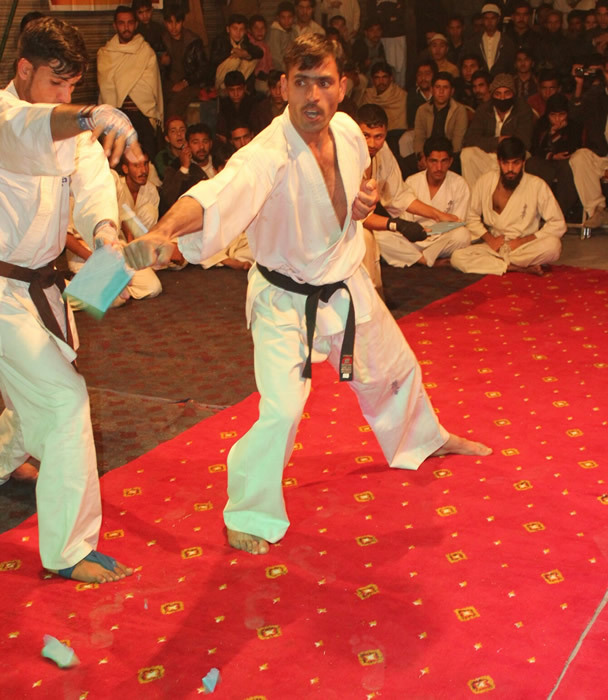 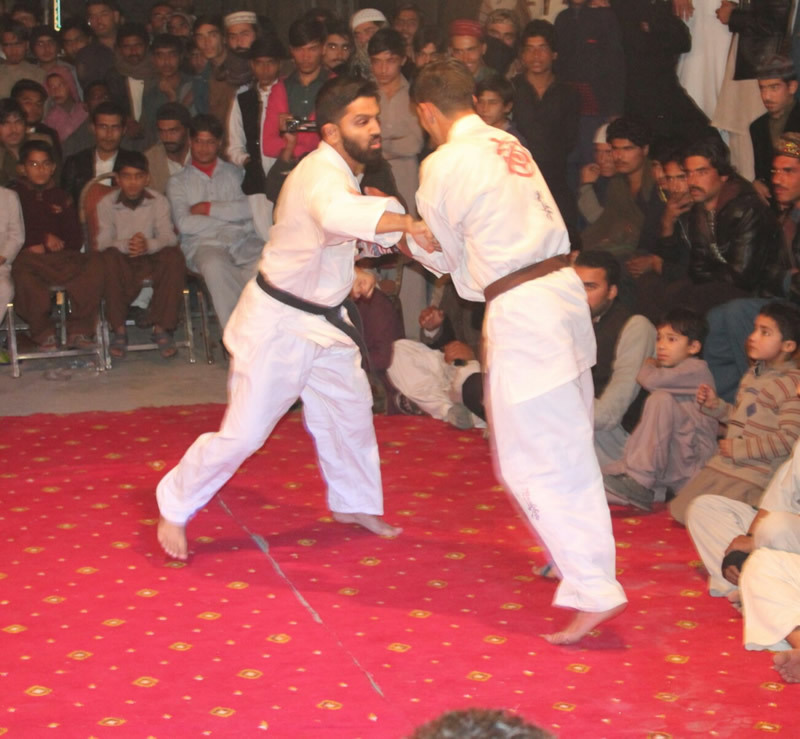 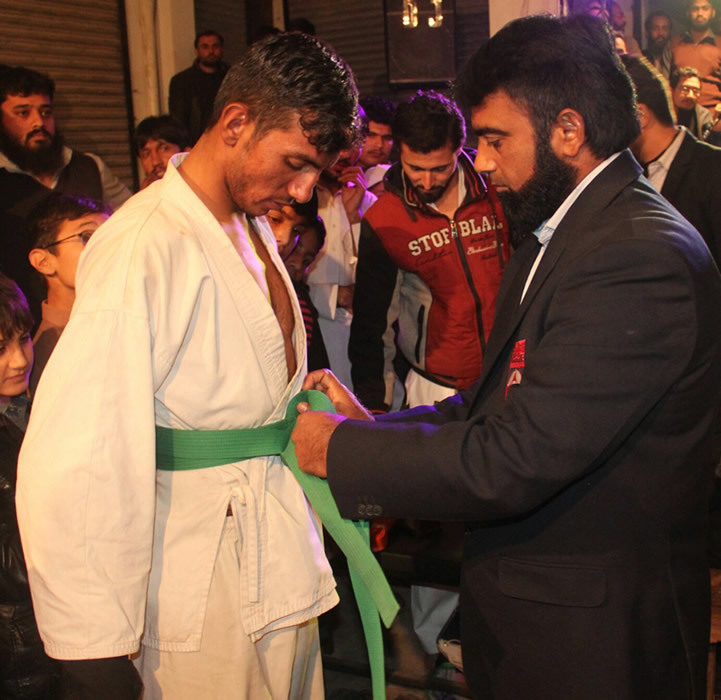 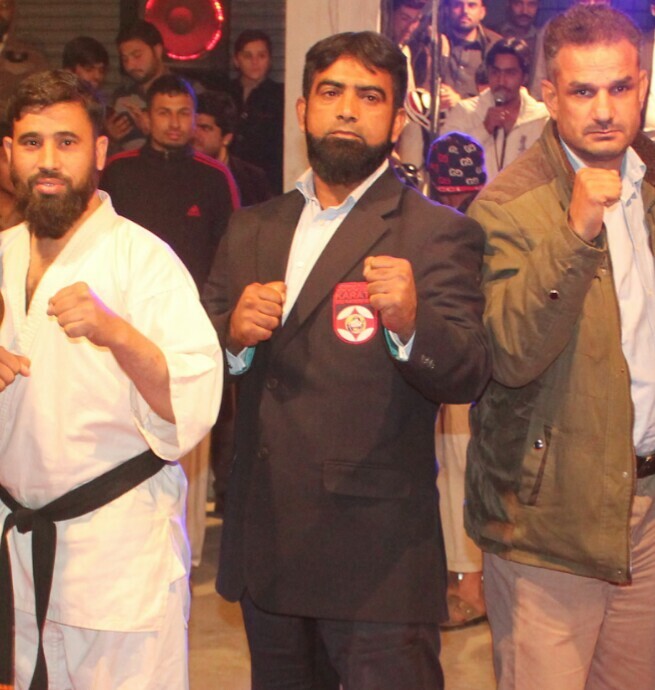 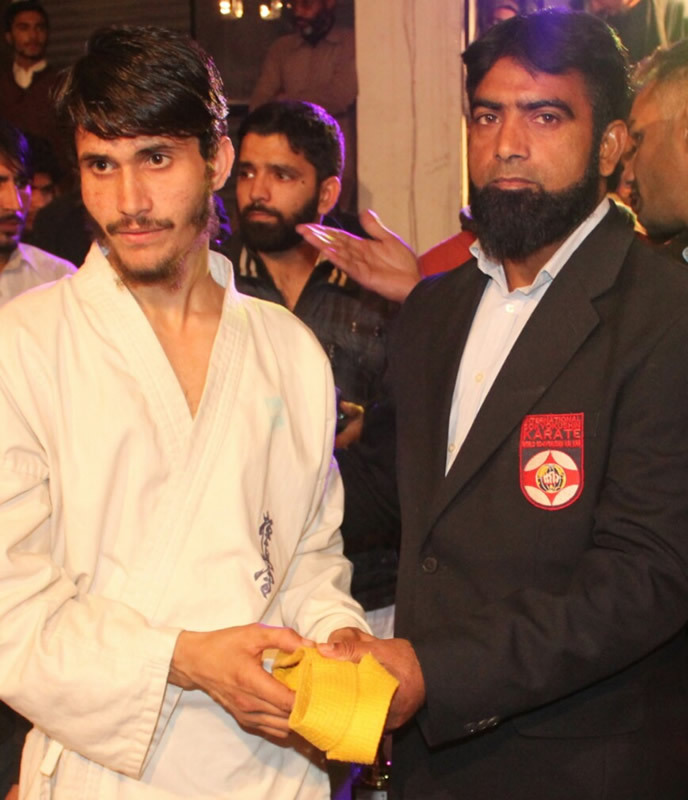 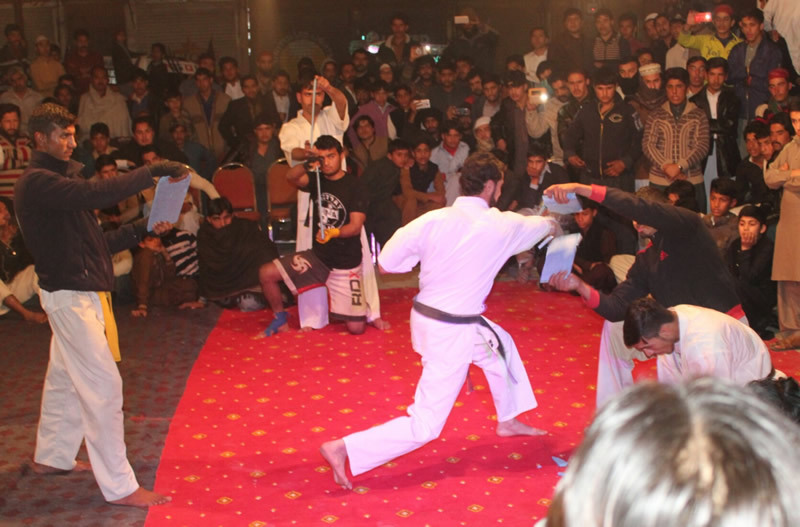 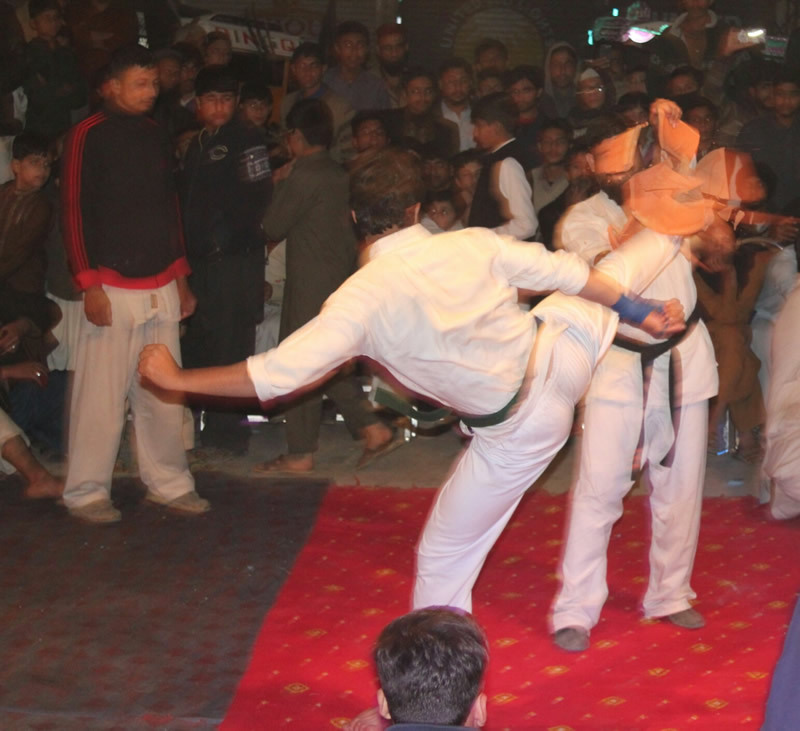 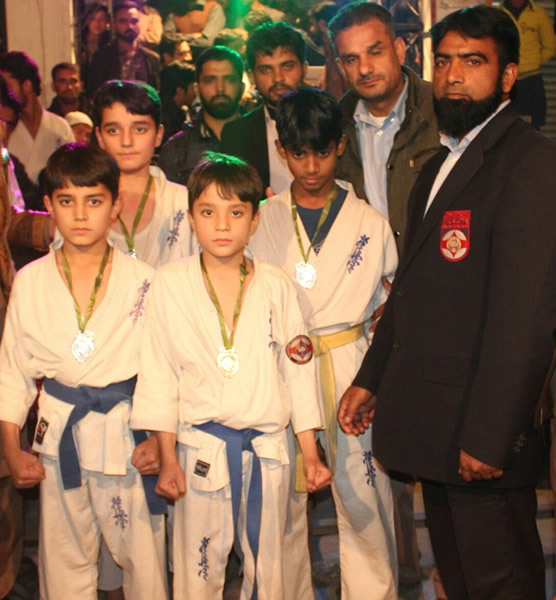 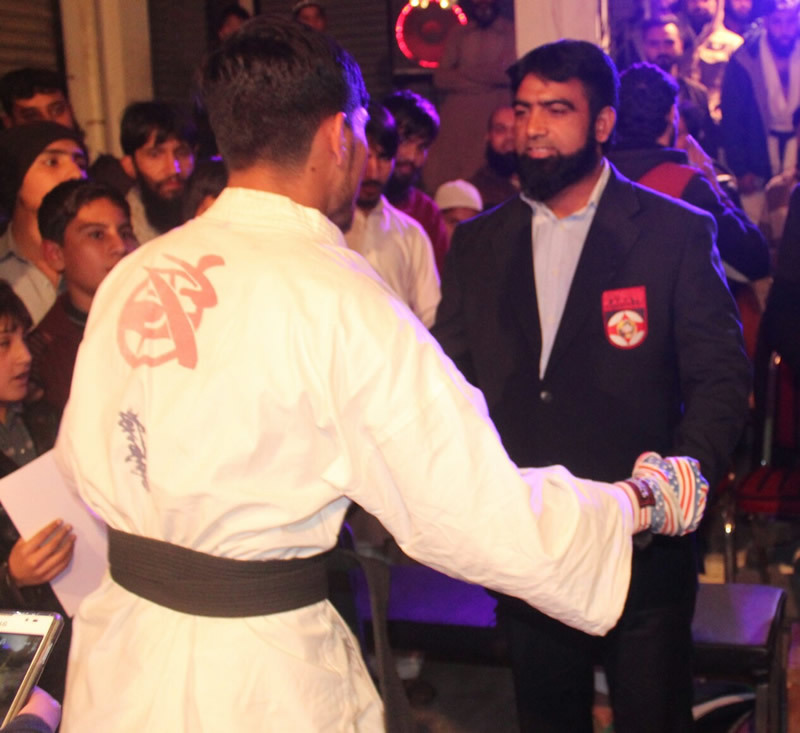 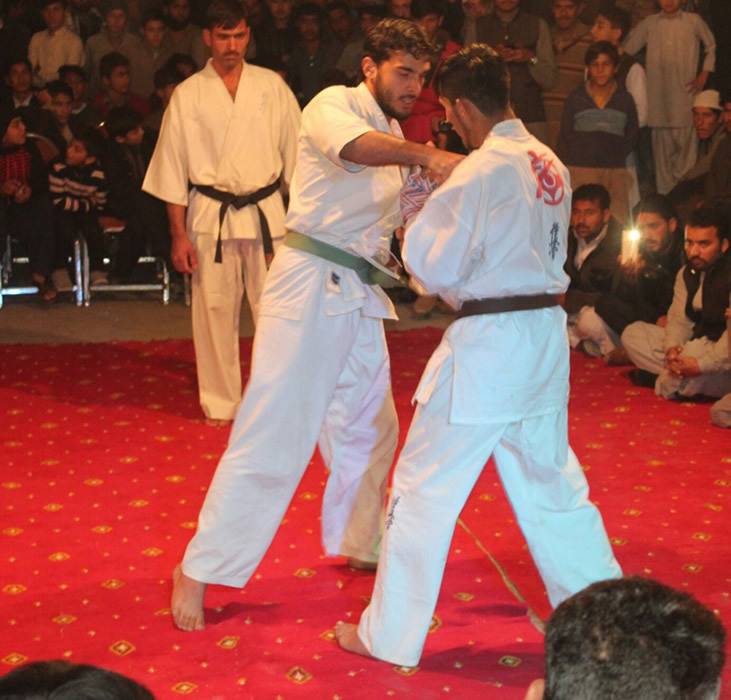 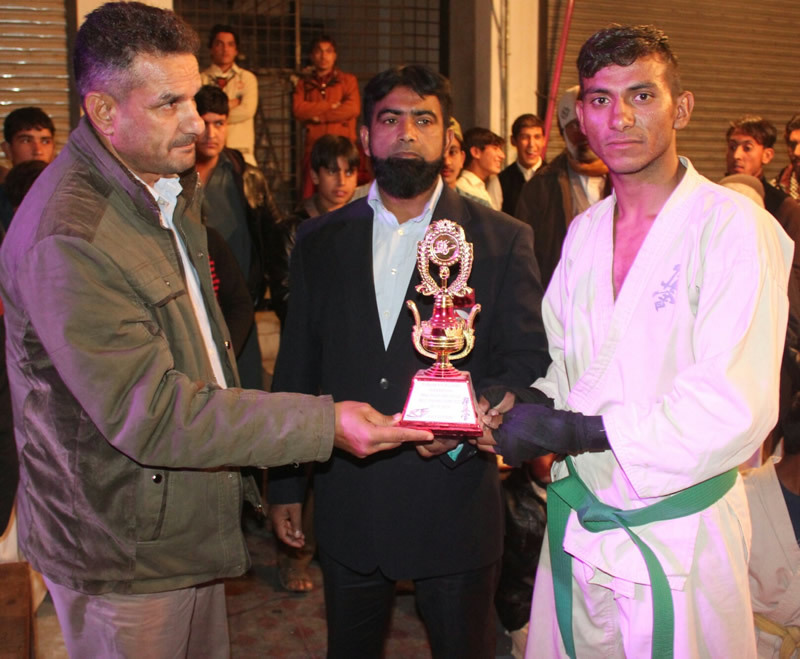 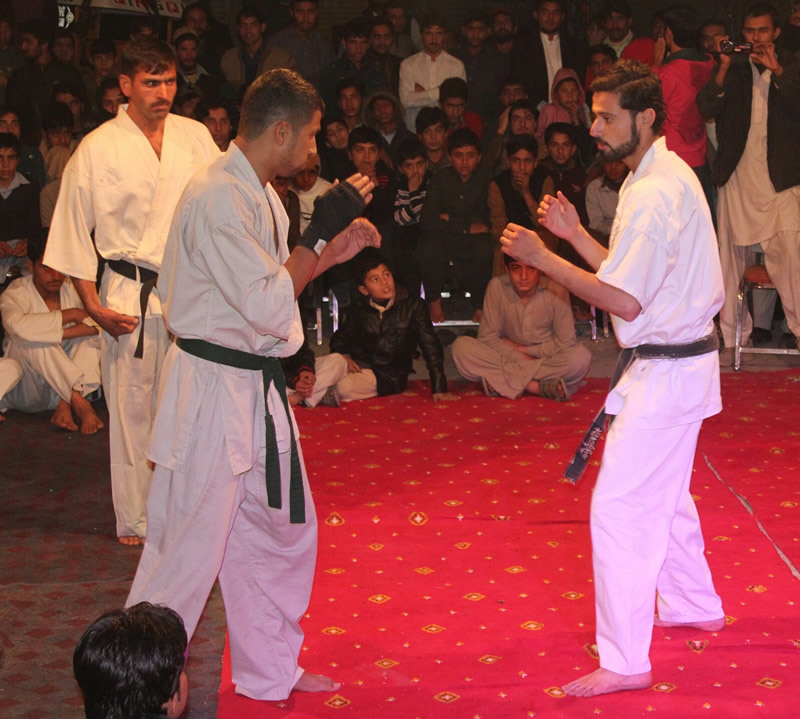 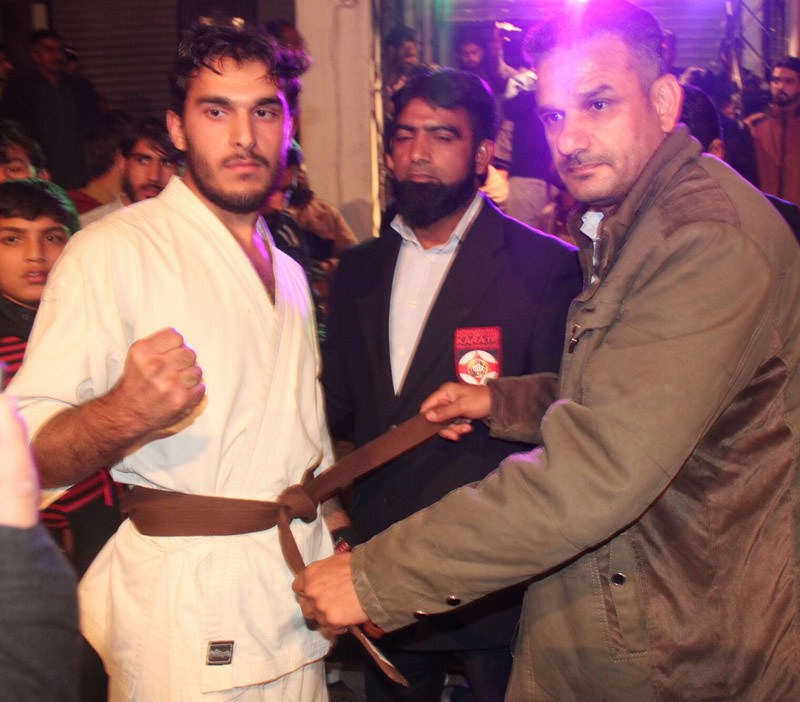 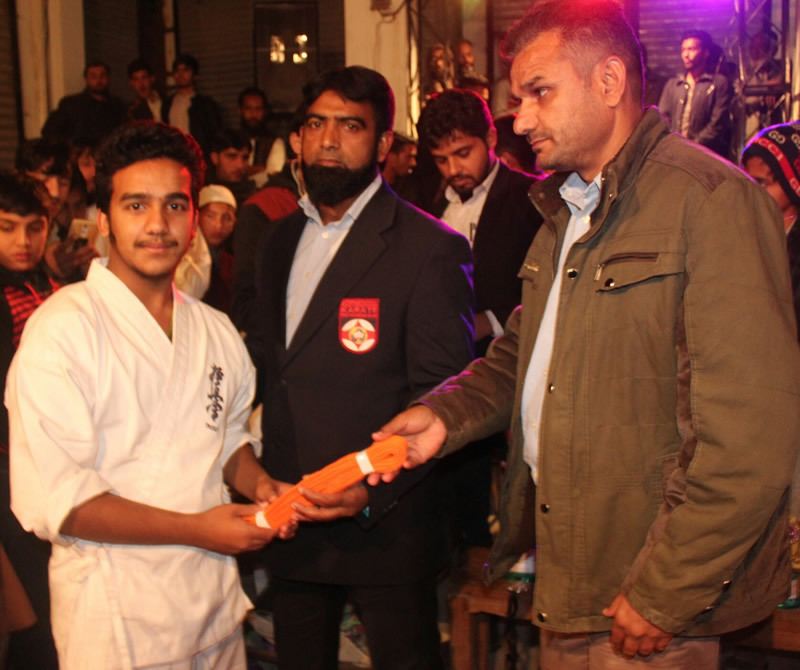 Iran Sokyokushin Karate Champion of Champions Tournament held by Shihan Vahid Bahrman with assisstant Shihan Asghar Shahaki ( Iran Sokyokushin Representative in Kerman ) and Shihan Bastani (Iran Sokyokushin Karate Secretary ) in Sirjan City,Kerman Province.This event going to present to all categories and ages in Kumite and Kata. 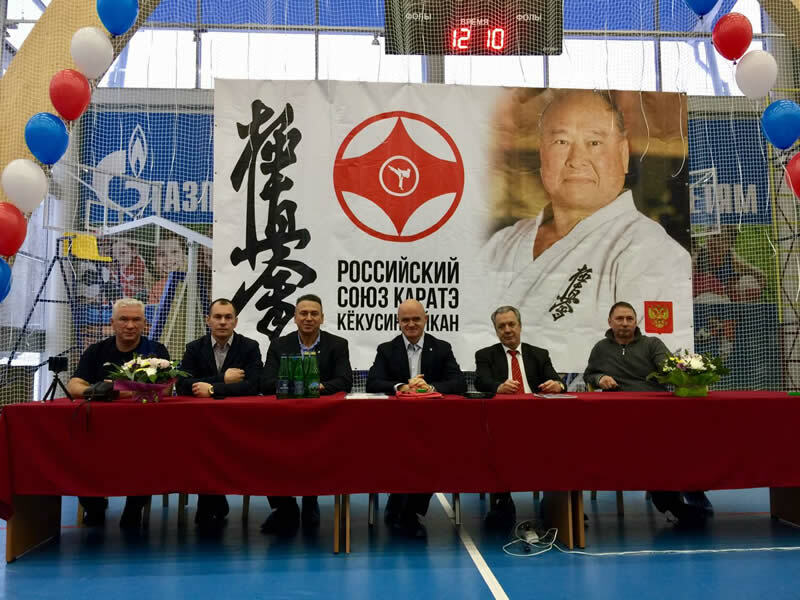 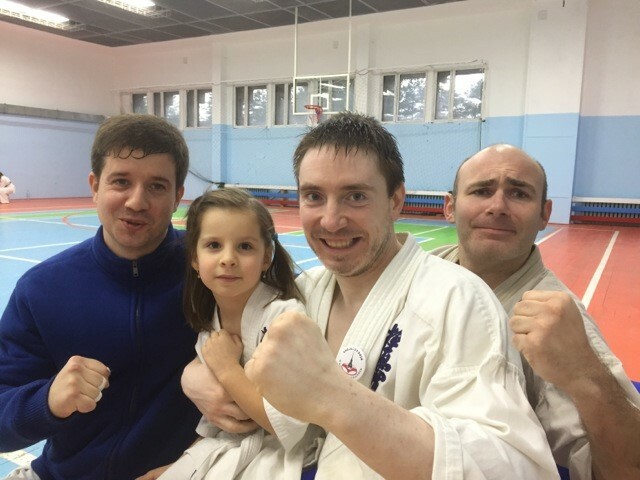 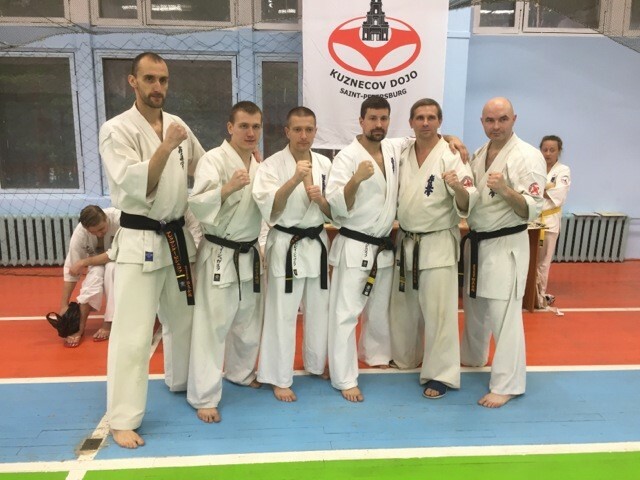 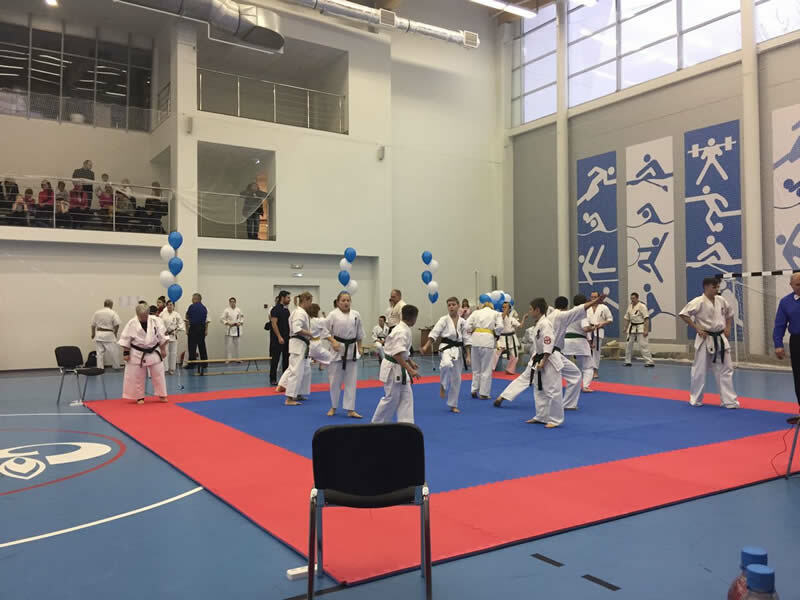 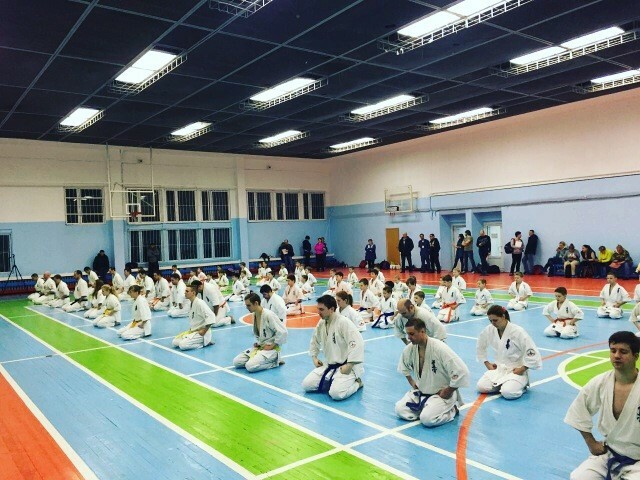 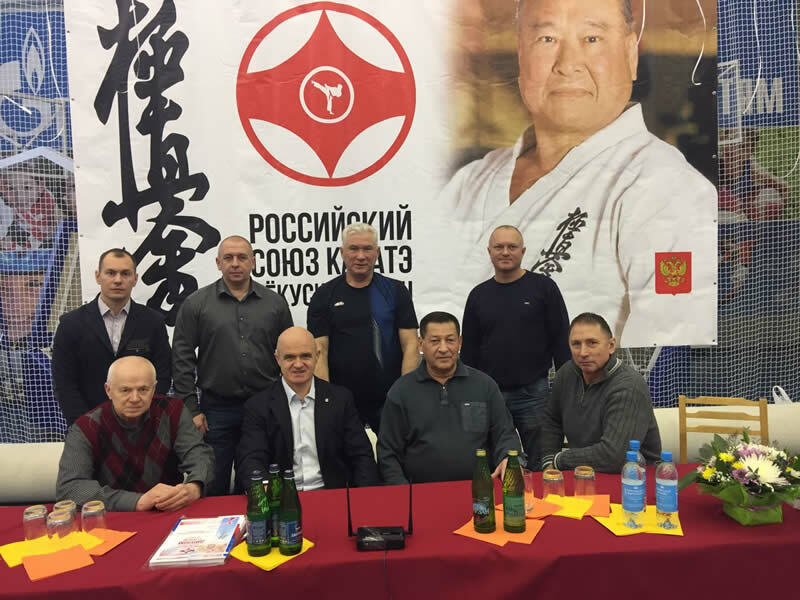 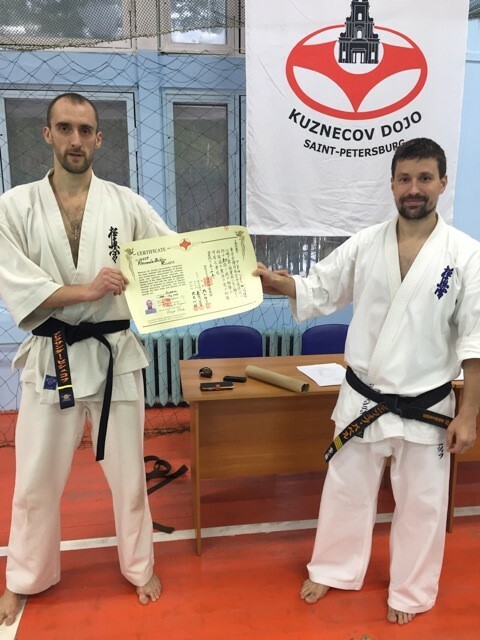 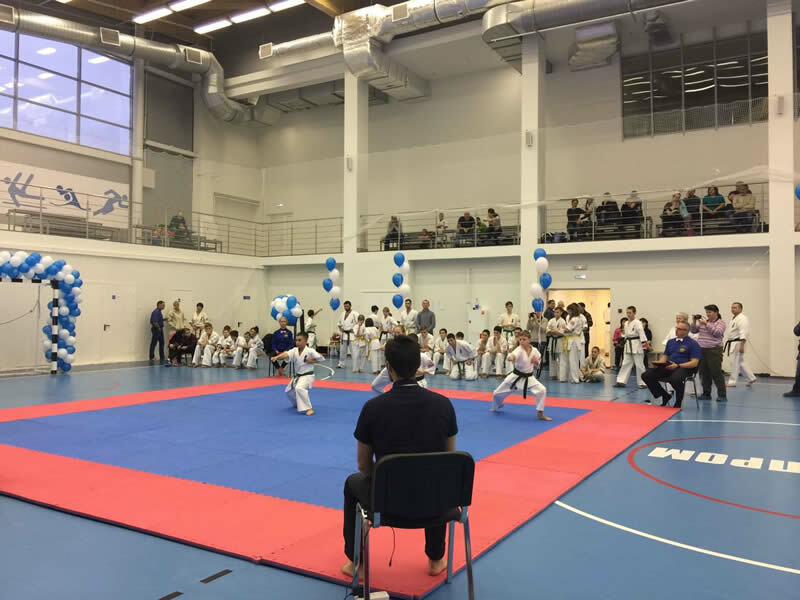 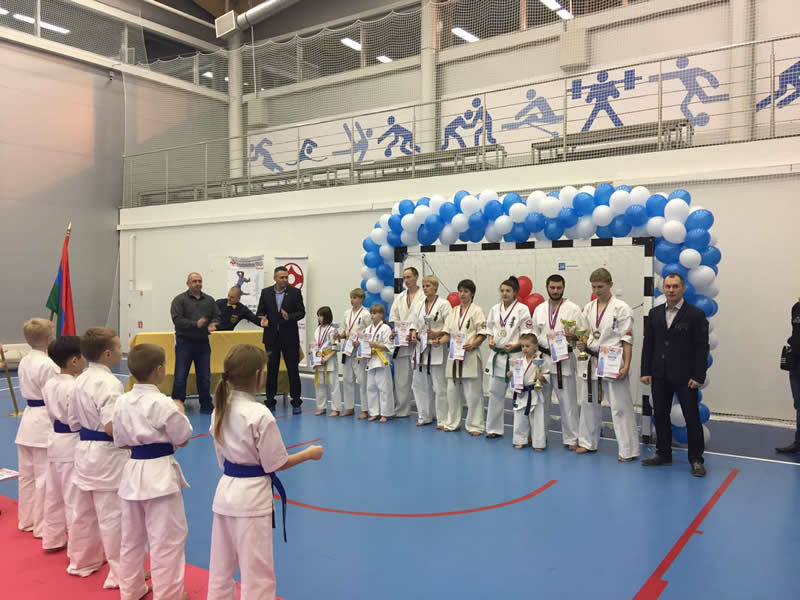 November, 26-27 an Open Championship of Russia in kata passed in Petrozavodsk, Republic of Karelia. 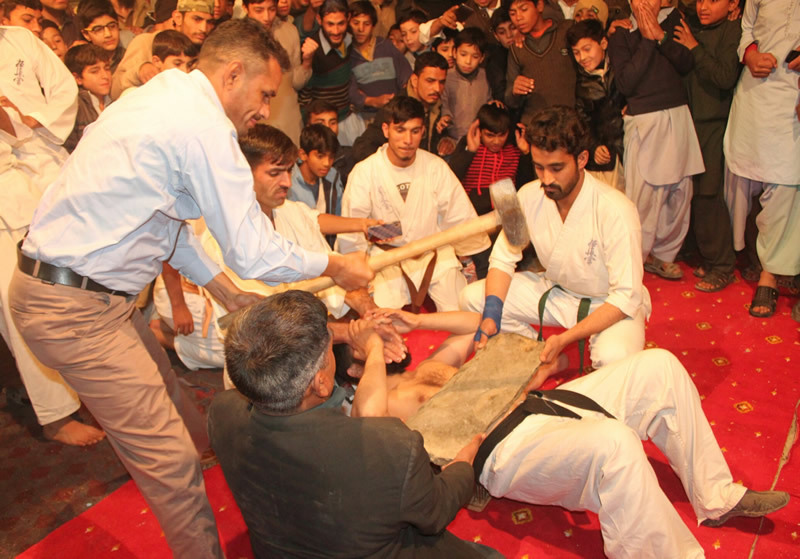 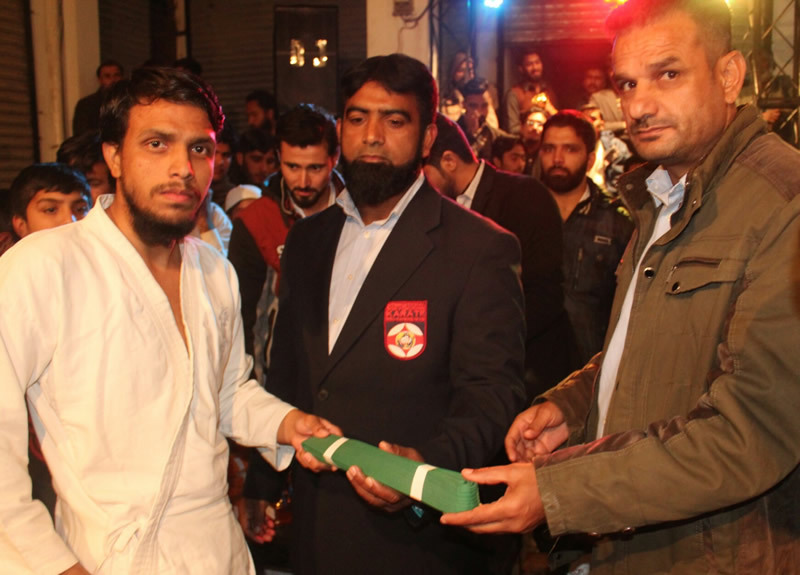 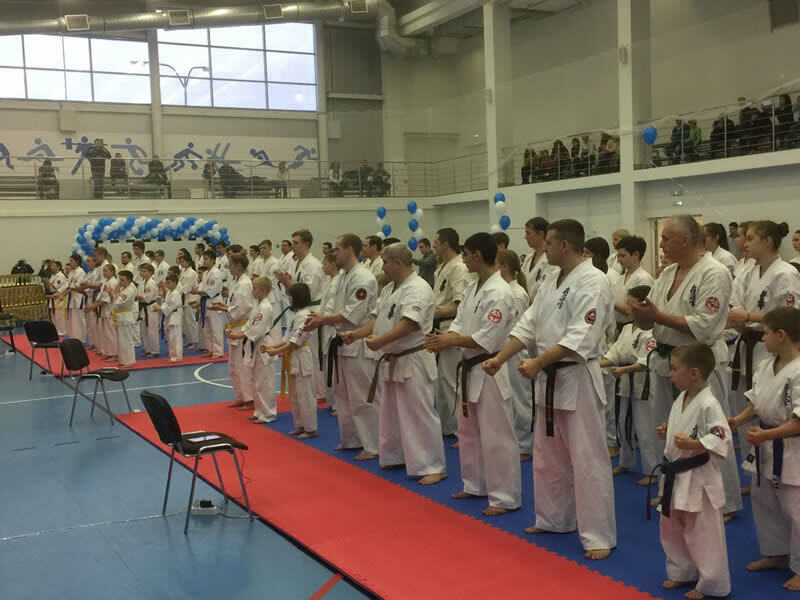 It was attended by 314 athletes between the ages of 5 to 80 years. 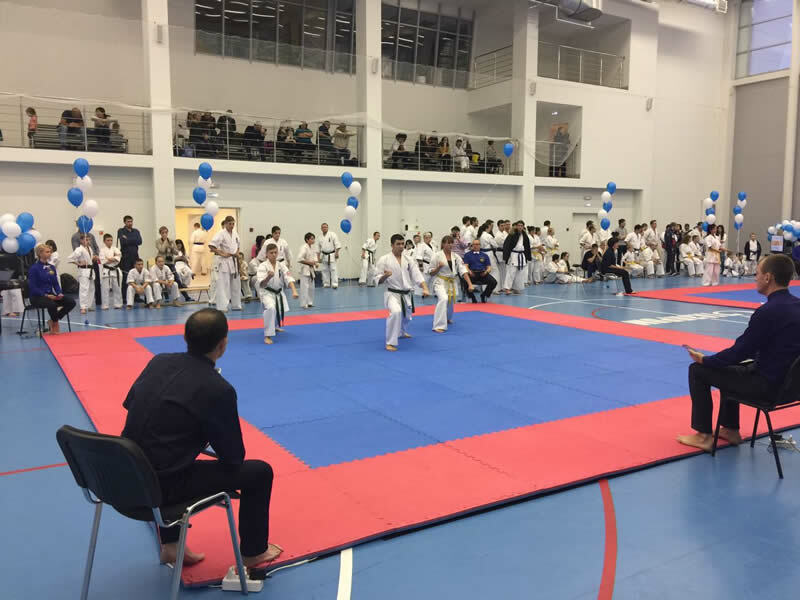 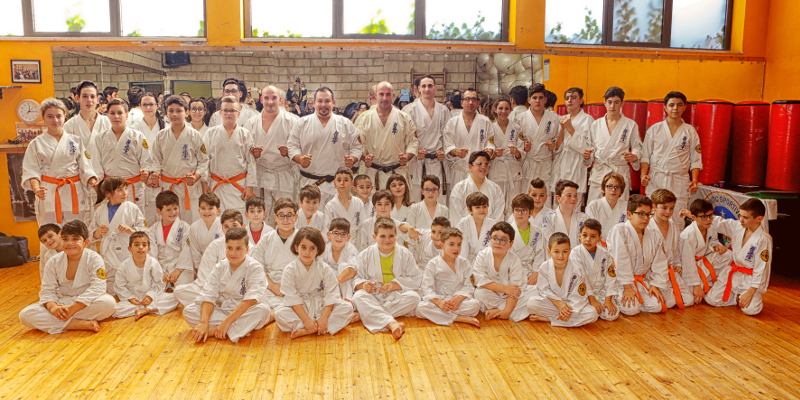 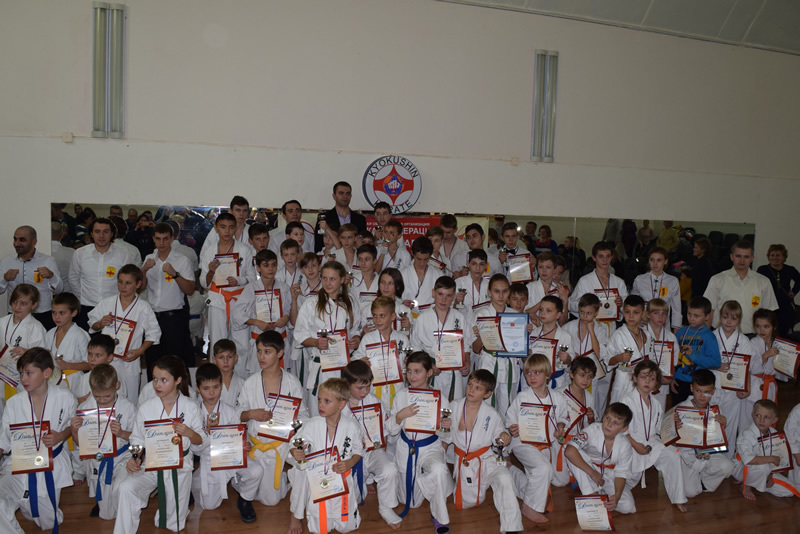 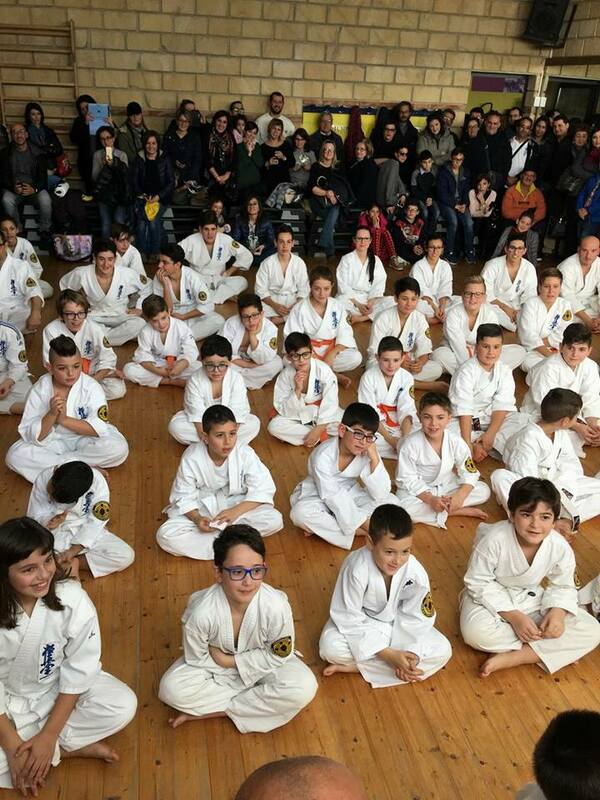 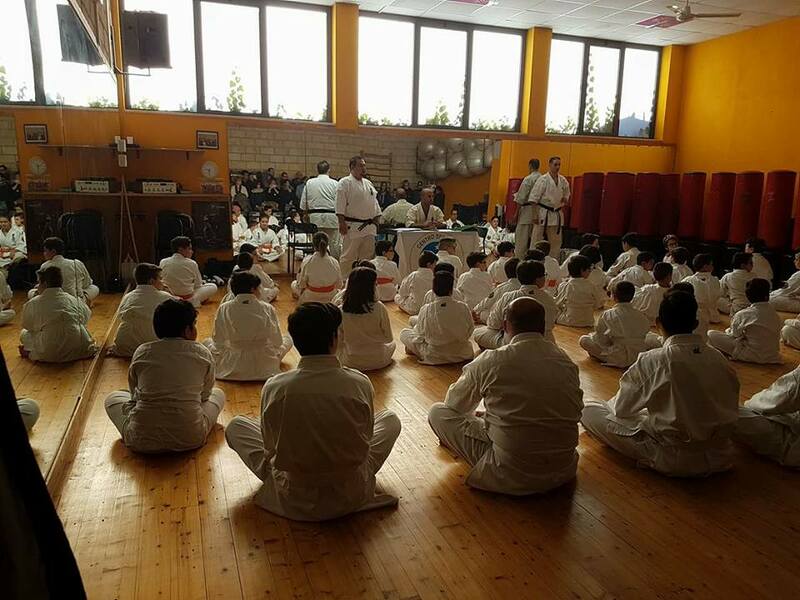 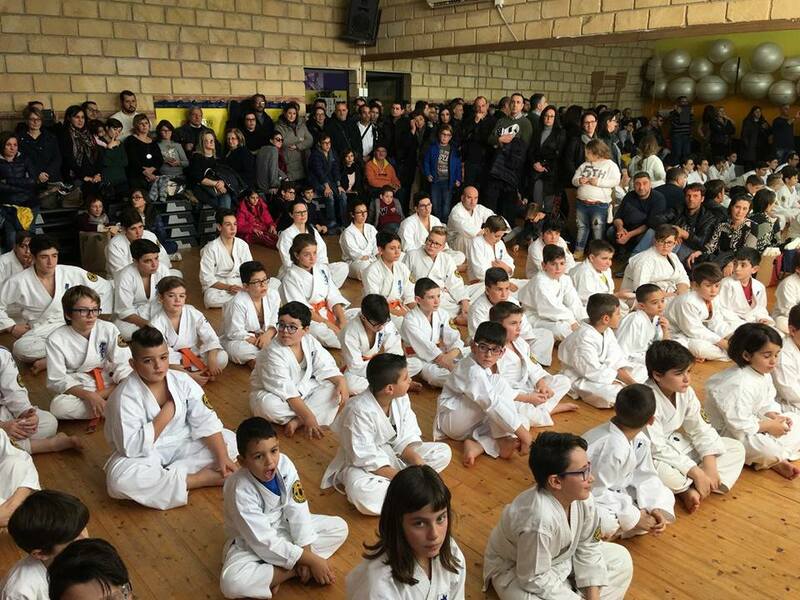 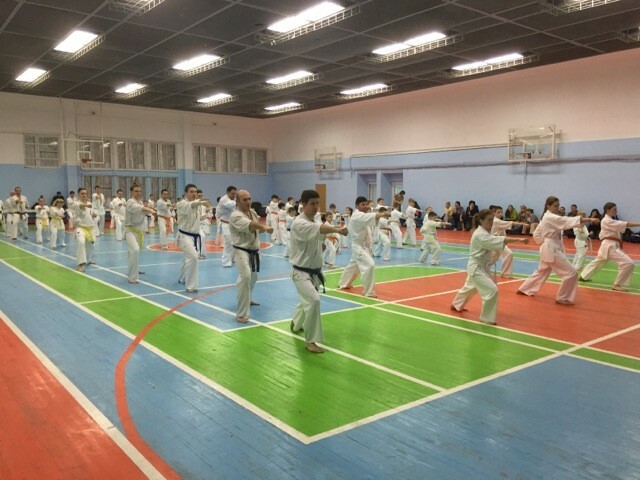 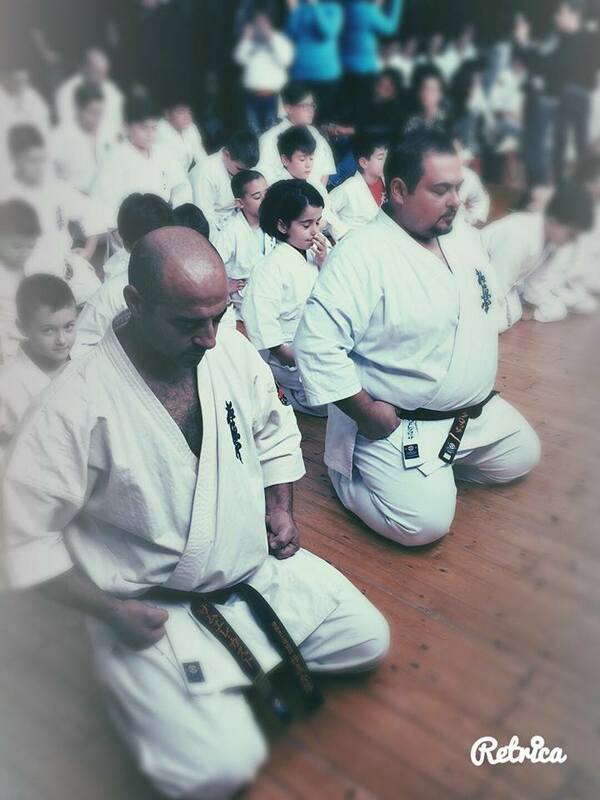 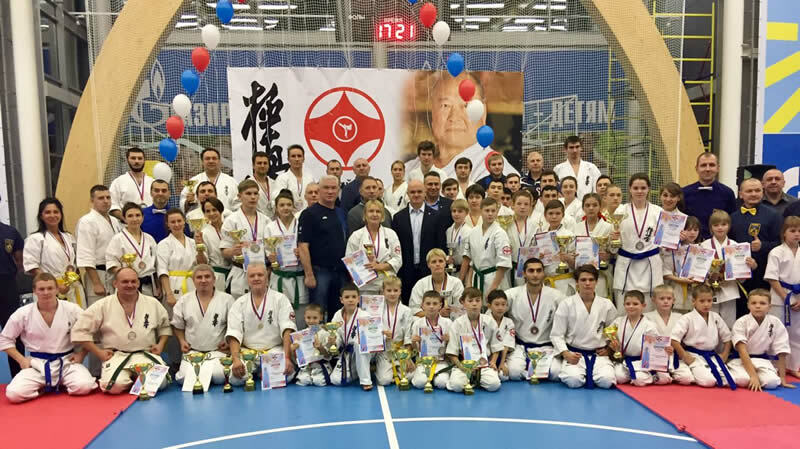 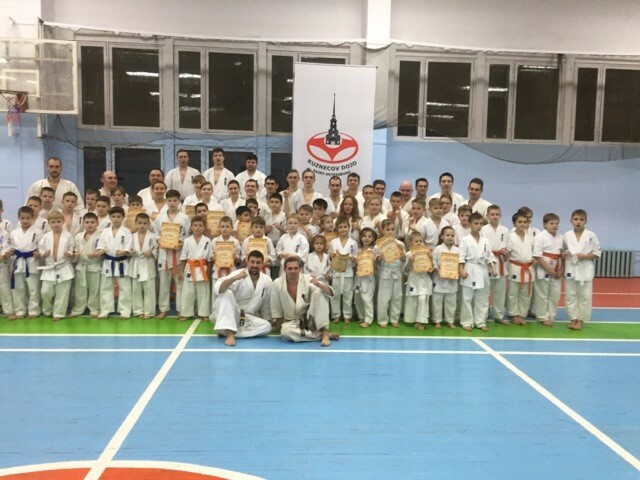 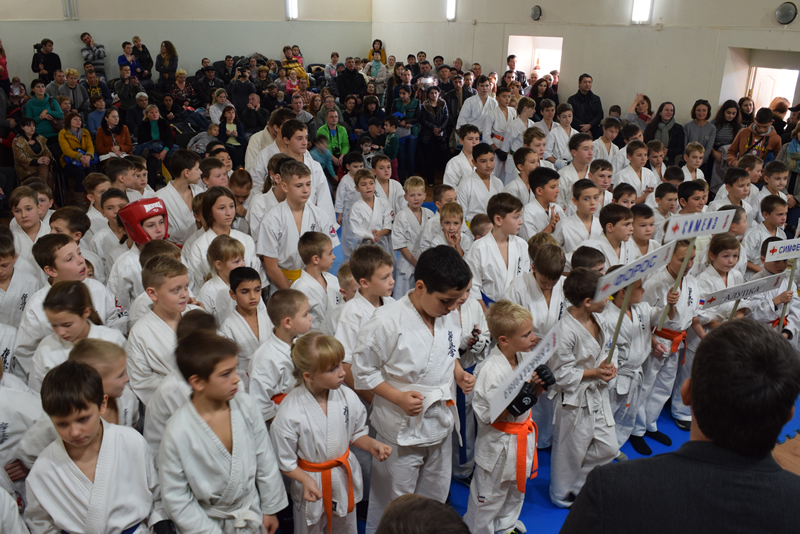 At the initiative of the President of the Yalta Federation of Kyokushin karate Dmitry Solodovnikova and with the support of the head of the territorial districts of Simeiz Igor Dyshlevyi 20 November in Simeiz held a traditional open Cup of Crimea So-Kyokushin karate among children and youths aged 5 to 17 years. 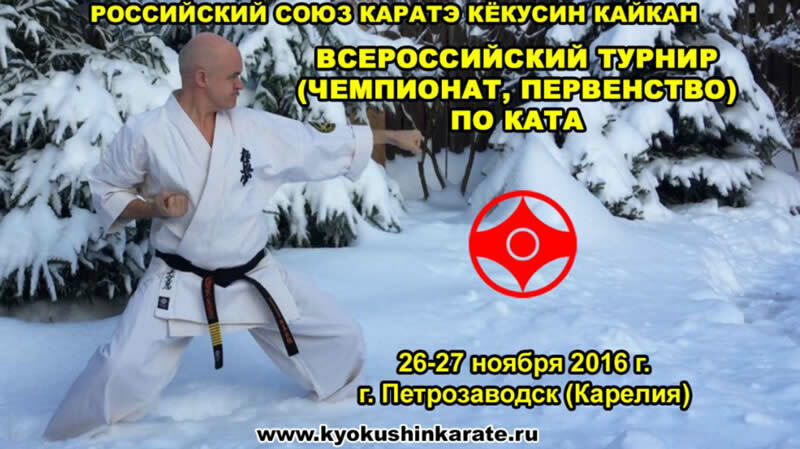 This was announced by the organizers of the competition. 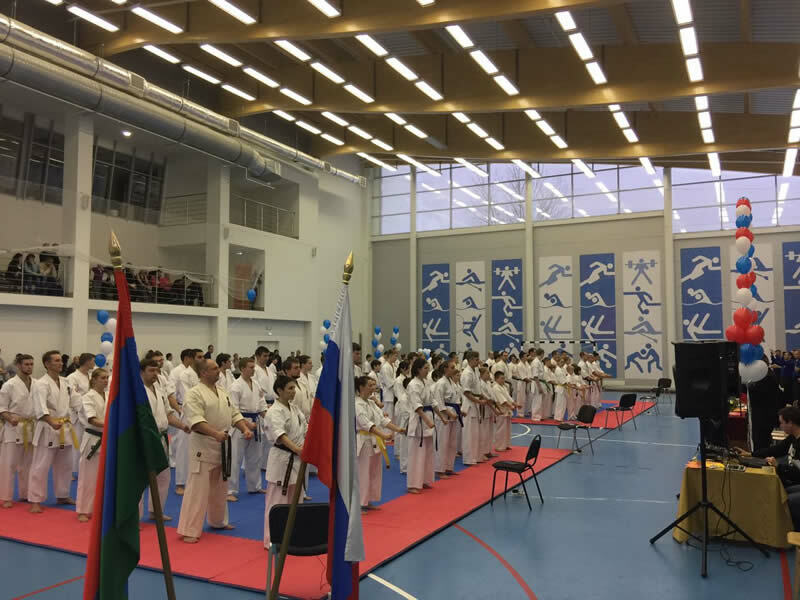 Among the 120 participants from Yalta, Simferopol, Bakhchisarai, Yalta, foros, foros, Alupka and Simeiz were drawn 23 sets of medals. 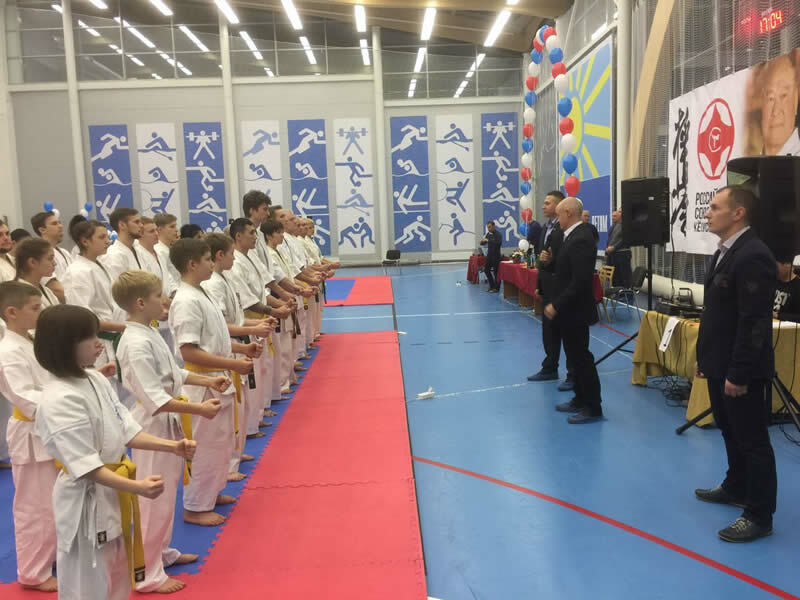 At the opening the participants were greeted by Igor Dyshlevyi and the Deputy of Yalta city Council Sergei Efanov. 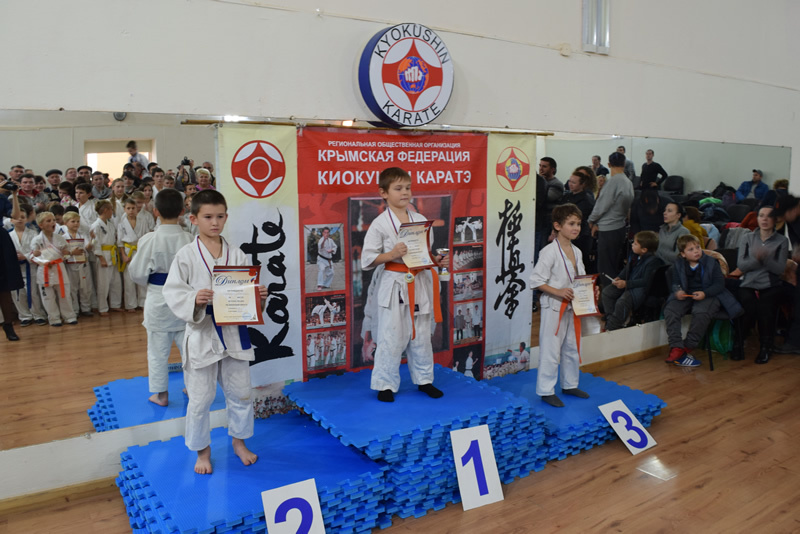 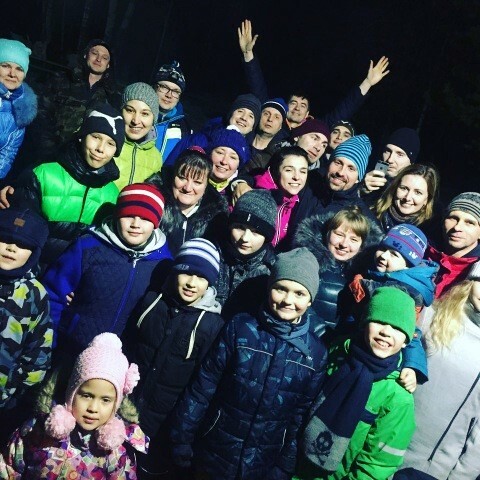 The honorable guests wished the children success in their studies and great achievements in the sport, and Dmitry Solodovnikova were awarded with gratitude “for high professionalism and contribution to the development of children’s sports in the Republic of Crimea”. 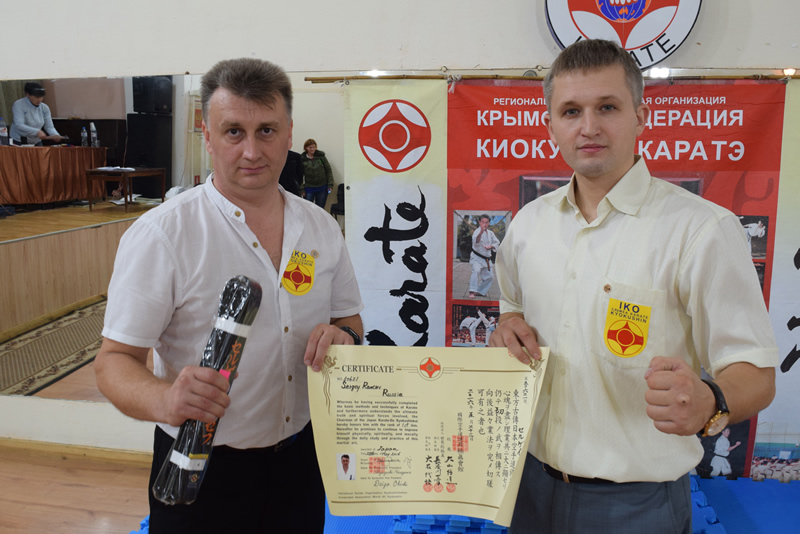 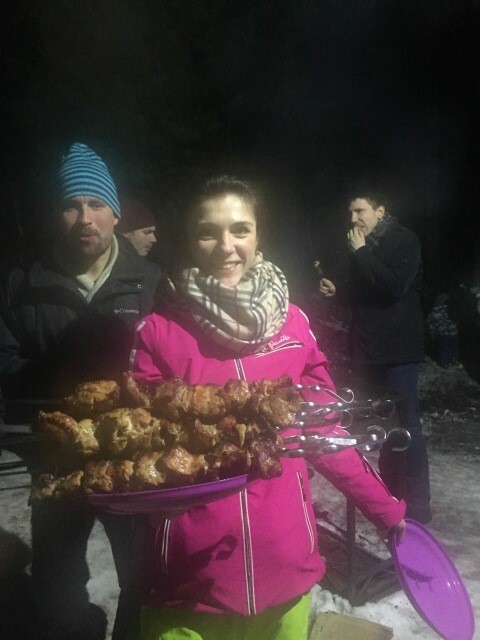 In addition, certificates “for courage and the will to win” was prepared by members of the “Simeiz Cossacks”, who all Simeiz events provide security and order. 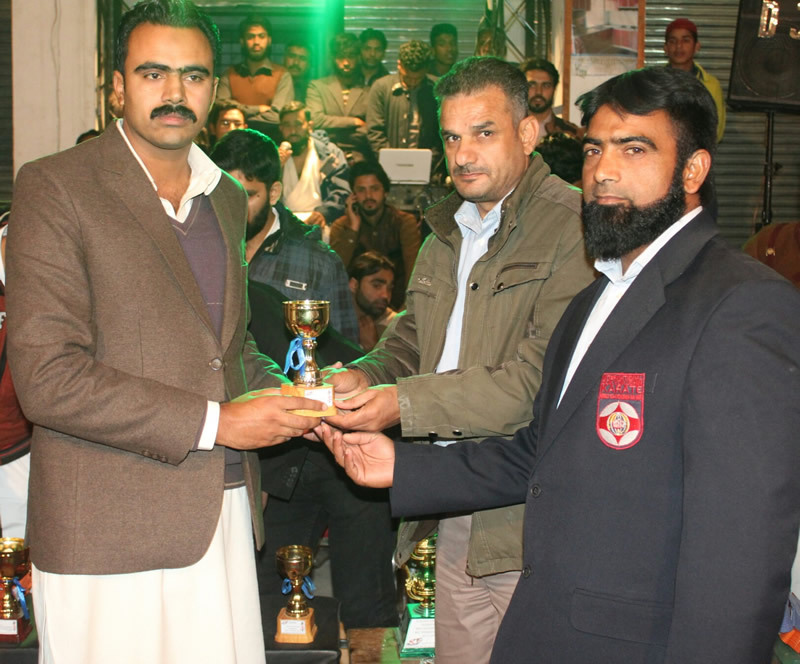 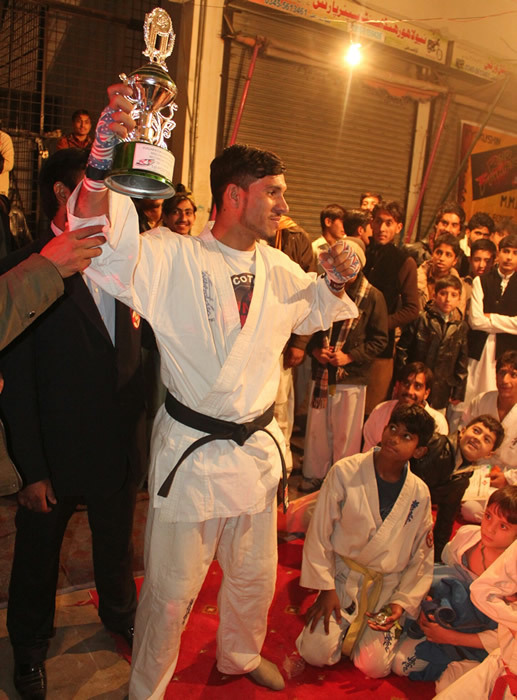 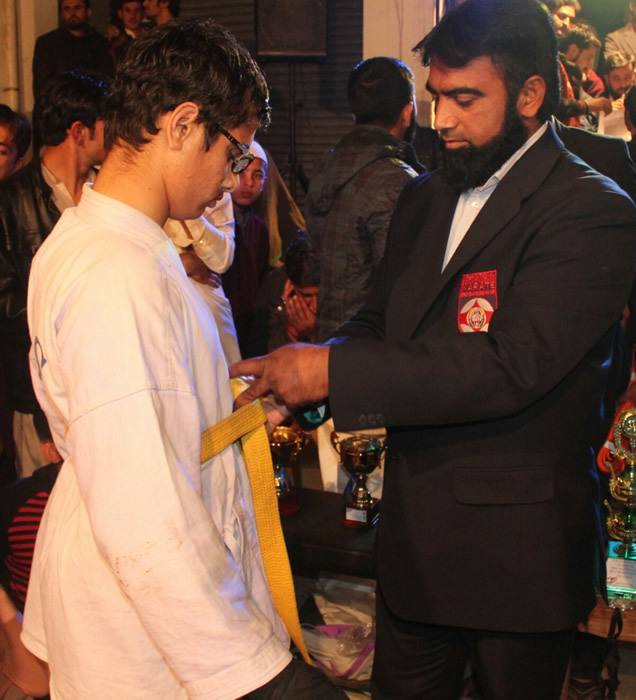 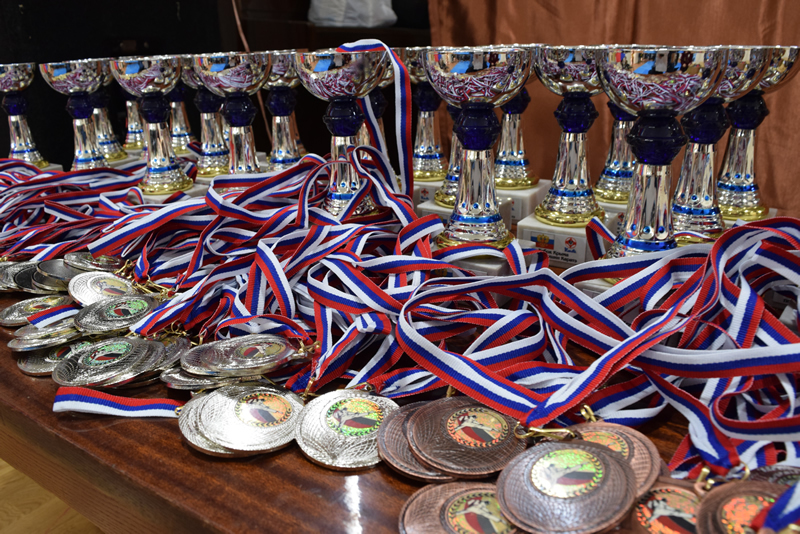 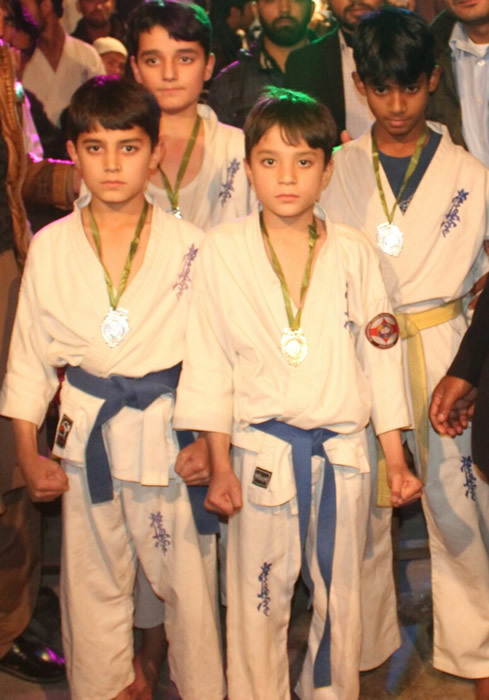 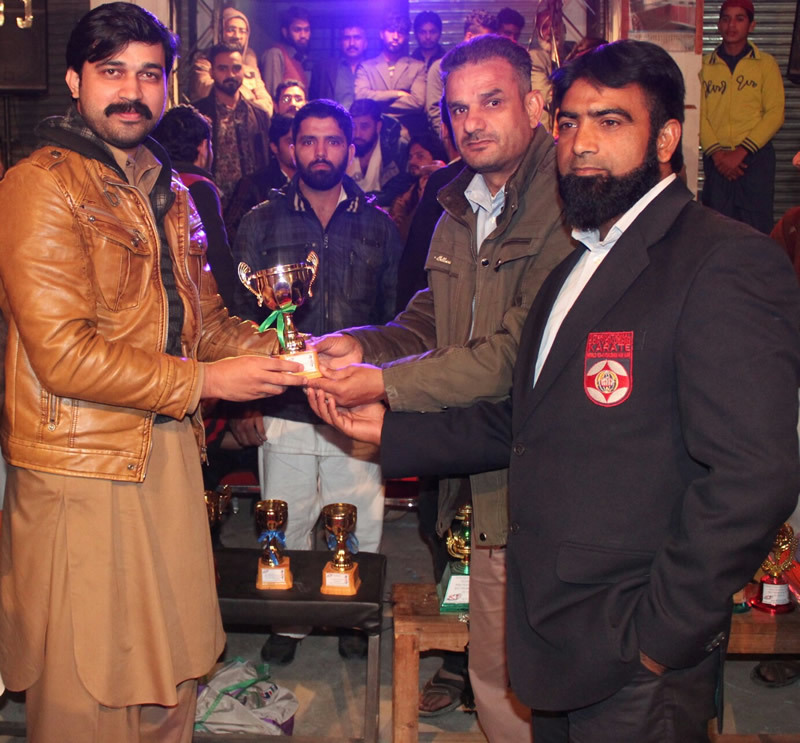 The representatives of each teams earned trophies and medals. 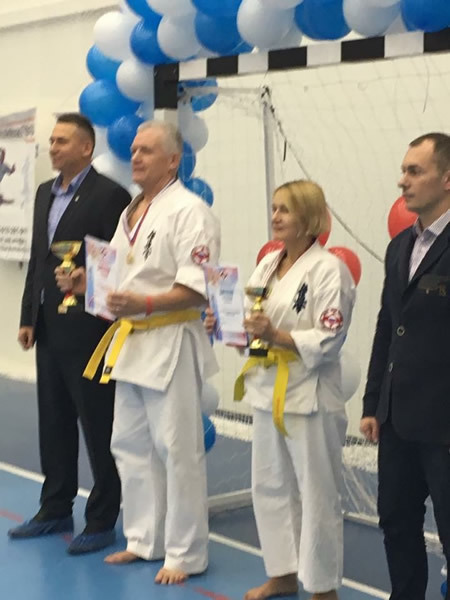 Well made and the hosts of the event, the team of Simeiz, but the greatest number of medals took home the team of Yalta. 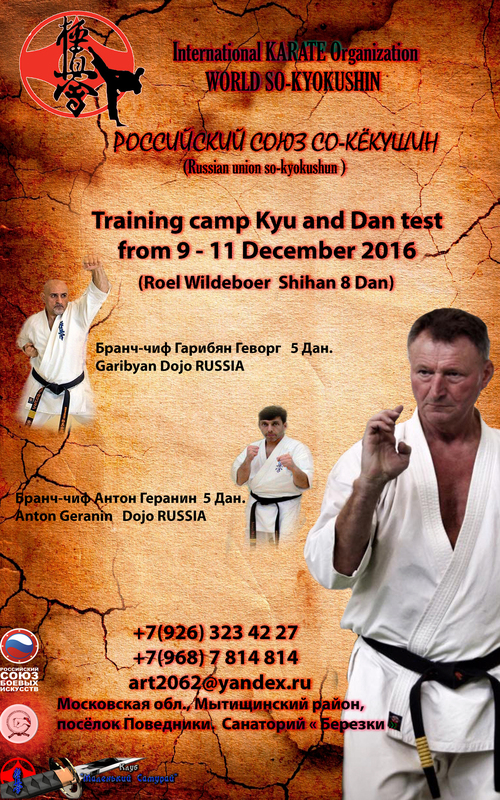 The 1st World Championships will be broadcast via television. 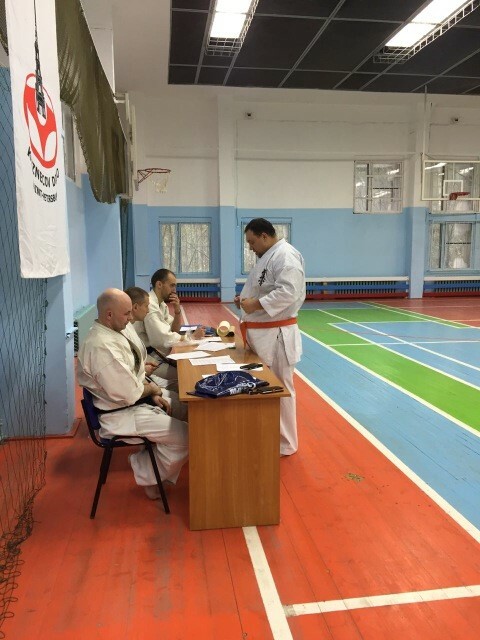 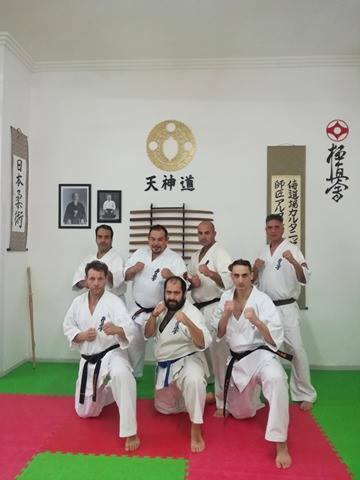 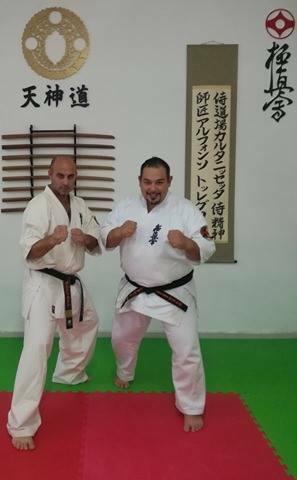 “Rules” of The 1st So-kyokushin World Karate Championships and International Goodwill Tournament. 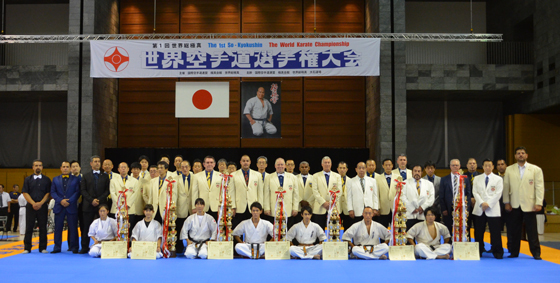 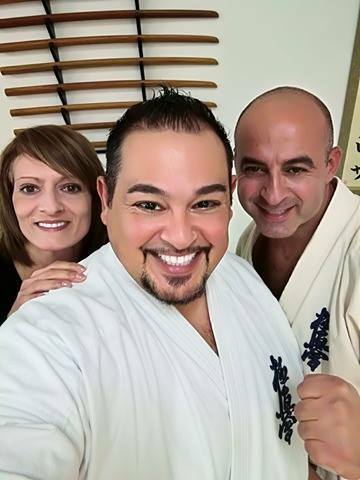 > 世界大会（型）The 1st So-kyokushin World Karate Championships KATA 2016.10.13Up!! 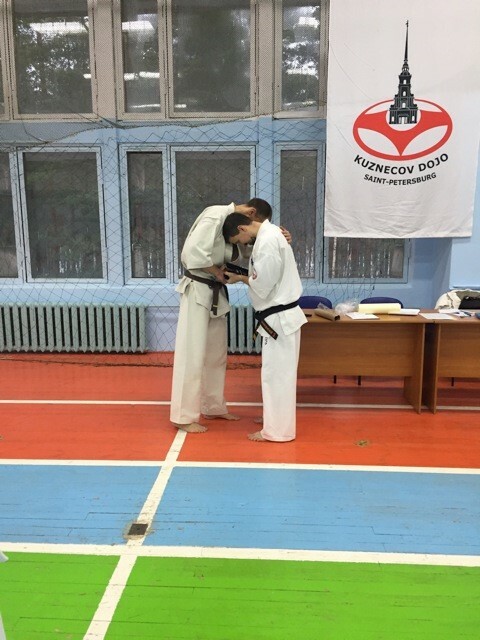 It replaced because there was a mistake in the notation.